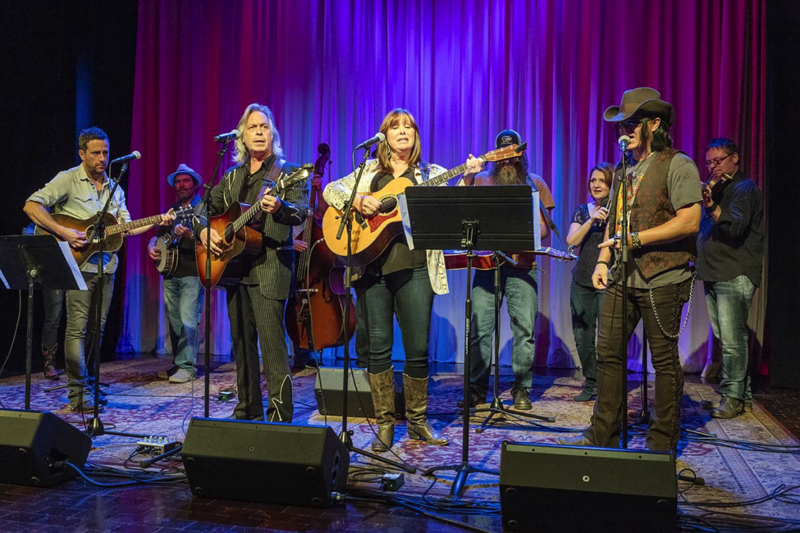 Middle Tennessee Public Radio’s WMOT has partnered with Nashville-based Music City Roots to bring a noncommercial mix of Americana music to its airwaves. Folks involved say the new format, branded Roots Radio, is exactly what Nashville’s airwaves have been missing and gives the station a shot at building audience and new revenues. The production company behind the syndicated music series Music City Roots is programming key dayparts of WMOT, featuring Nashville music radio personalities who now have a new home on public radio. Owned by Middle Tennessee State University, WMOT had been losing money with its previous format, a hybrid mix of NPR news, classical music and jazz. Financial documents shared by WMOT recorded operating deficits extending back to 2008 and a shortfall of $339,425 in 2014–15. The station’s fundraising peaked in 2009 at nearly $157,787 from 1,171 donors; by 2014 it raised less than $61,435 from 540 donors. WMOT has not received federal grants or funding of any sort for “several years,” according to Val Hoeppner, station manager and director of the college’s Center for Innovation in Media. She said the station did not reach enough listeners to qualify for CPB funding. The new format, introduced last month, features Music City Roots deejays weekdays from 6 a.m. until 6 p.m. Bill Edwards, formerly of Nashville’s WHPY (“Hippie Radio”), hosts morning drive along with John Walker, an ad man and music enthusiast who launched Music City Roots on Nashville’s WSM-AM in 2009. In the evenings, WMOT broadcasts faculty-led recorded shows on its 100,000-watt signal, including one for MTSU coaches on Monday evenings. The station also airs about 200 sports broadcasts each year through a contract with Learfield Sports. The change retains only two NPR programs: top-of-the-hour newscasts and World Cafe, the Triple A music show produced at WXPN in Philadelphia. But it preserves jazz on an HD Radio channel that’s also carried on an FM translator. WMOT pays about $100,000 annually to Music City Roots for its programming services, and the two partners split underwriting revenues evenly. WMOT controls all underwriting spots, ensuring they are compliant with noncommercial standards. The format change had been in the works for at least 18 months before its launch on Labor Day weekend. Ken Paulson, dean of the College of Media and Entertainment, teamed up with Hoeppner to evaluate how to improve the station’s performance, including its small audience and limited engagement with students and the community. As a hybrid-format news and music station, WMOT’s ratings had been “among the lowest” in the Nashville area, Paulson said. Nashville Public Radio already provides NPR News and classical music programming to middle Tennessee via two separate broadcast services, although its signals aren’t as powerful as WMOT’s, which reaches into Bowling Green, Ky.
Station Manager Val Hoeppner speaks at the launch ceremony for WMOT. “We realized that we needed help with more than just the programming aspects,” Hoeppner said. In July 2015 the college retained Oregon Public Broadcasting President Steve Bass as a consultant. Bass had previously led Nashville’s public TV station and knew the market well. The station’s struggle to attract an audience was attributable in part to its inconsistent programming, Bass said. Listeners never knew what they were going to hear when they turned the radio to WMOT. “You’re constantly churning audience.” he said. One goal for revamping WMOT was to “embrace a format that would reflect Nashville and the curriculum inside our college,” Paulson said. The College of Media and Entertainment encompasses journalism, public relations and the recording industry. Early in the process, Hoeppner and Paulson decided that Americana music was the only genre missing from the market, Hoeppner recalled. Americana music is an umbrella term for the variety of folk music styles that shaped rock ’n’ roll, although it’s not stuck in the past. It includes contemporary forms of country, blues, folk, bluegrass, rhythm and blues, and roots-rock, according to the Americana Music Association, which was founded in the late 1990s by a group of radio and recording industry representatives who were looking for ways to promote the genre. Bass doesn’t think the format developed for WMOT would be viable in many other parts of the nation, but it does encompass the musical culture of Nashville. With its origins on Nashville’s WSM-AM, the 50,000-watt home of Grand Ole Opry broadcasts, Music City Roots is plugged into that culture. The affiliation with commercial country radio ended, and the weekly Music City Roots broadcast found a home on public TV stations via American Public Television distribution. The variety show airs on 40 public stations and is offered as a radio broadcast. MTSU’s partnership with Music City Roots came together after the university issued a narrowly tailored request for proposals during spring 2015. Paulson had discussed MTSU’s plans for WMOT with Music City Roots before the RFP was issued and advertised. Though the university had hoped for multiple bids for the contract, Music City Roots was the only organization to respond. “We were really hopeful that we would get to take a look at different opportunities, but, in the end, it was only Music City Roots that had the chops to do what we needed,” Hoeppner said. Hoeppner believes the format could attract a listenership far beyond Music City’s established audience. She cited 10,000 downloads of the Roots Radio app over a two-week period, international membership signups and the amount of underwriting sold since the station’s launch over Labor Day weekend. “We’ve sold more underwriting in the first four weeks that we’ve been on air than in the last two years,” Hoeppner told Current. With the format change completed, WMOT continues to restructure its staff. No one has been laid off, Hoeppner said, but jobs of a couple of employees who moved on to other stations will not be filled. Savings from those positions go towards hiring a content producer. Hoeppner’s own role at the station reflects how WMOT has been downsizing through attrition. She began leading WMOT in August 2015, adding to her role as media innovation director, after the previous manager took a job with a classical station in Indiana. Under its contract with WMOT, Music City Roots manages its on-air and marketing employees. John Walker, co-founder and EP of Music City Roots, is enthusiastic about the opportunity to define a new music format around Americana. The station partnered with NPR to cover last month’s Americana Music Awards, providing coverage from the red carpet event for broadcast and via video. Hoeppner said she wanted to embrace the fun of radio with the launch of Roots Radio.